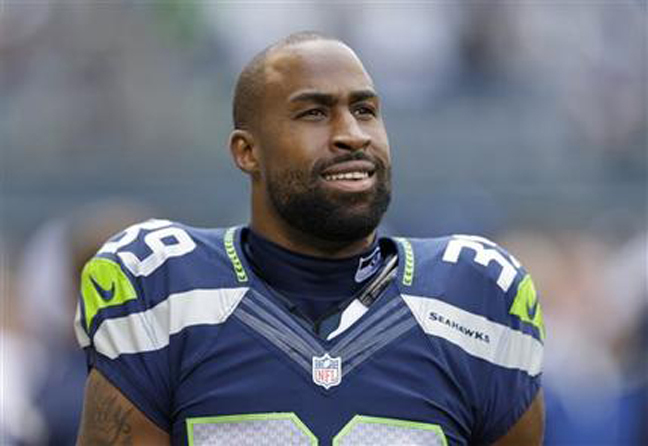 RENTON, Wash. (AP) -- Seattle Seahawks cornerback Brandon Browner was suspended indefinitely by the NFL on Wednesday for violating the league's substance abuse policy. The suspension is the second in two seasons for Browner. He was suspended four games last season for violating the league's policy on performance-enhancing substances. He's the second Seahawks player to be suspended for violating the substance abuse policy this season. Fellow cornerback Walter Thurmond is serving the final week of a four-game suspension. Browner, whose suspension is effective immediately and without pay, sent out a lengthy statement vowing that he would continue to fight his suspension and sounding resigned that his career with the Seahawks was over. "I want to thank the Seahawks organization for the incredible opportunity they gave me when they took a chance on a player who was out of the NFL and playing in the CFL for 4 years," Browner wrote. "I also want to thank all of my teammates, coaches, trainers, staff and the 12's (fans) for their support, respect, and friendship and for helping me grow into the player, father, and person I am today. I have been treated with nothing but first class by everyone associated with the Seattle Seahawks and for that I am forever grateful. "Although I disagree with the circumstances surrounding my suspension, I accept responsibility for all of my actions and I apologize for any that causes any unflattering reflections of my family and the Seahawks. I believe in my innocence and will continue to fight with all legal resources available to me to." Browner, who was injured in Week 10 against Atlanta and hasn't played since, filed an appeal of the suspension while injured and the Seahawks were waiting for an answer from the league. Seattle coach Pete Carroll said earlier Wednesday before the suspension was announced that he was frustrated the process for making a determination on Browner's status had taken so long. "It has taken a long time and I've been a little disappointed in that, but we're handling it," Carroll said. Browner was to become a free agent after the season and could file for reinstatement after one year. News of the suspensions for both Browner and Thurmond came as the Seahawks were returning from their bye in late November. Browner is the seventh official suspension for a Seattle player for substance-abuse or performance-enhancing drugs violations by the league since 2011. That doesn't include Richard Sherman, whose suspension was overturned on appeal late last season.